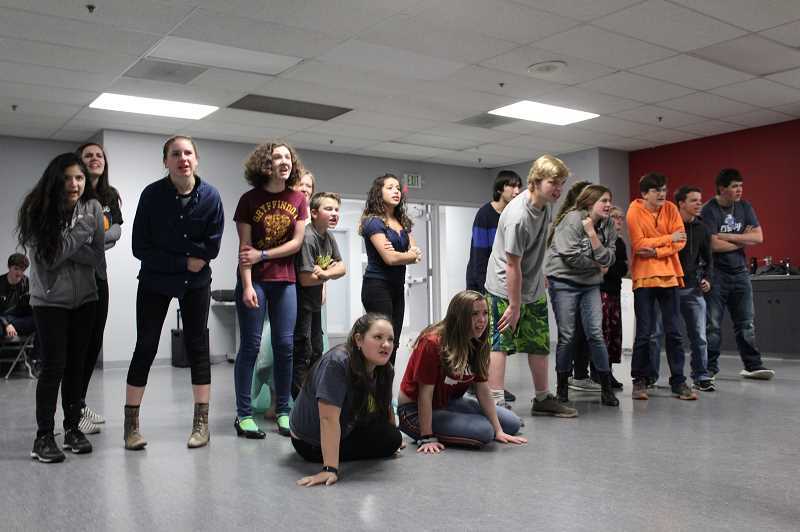 STAGES Performing Arts Youth Company presents 'Les Misérables,' opening Jan. 4 at HART Theater in Hillsboro. Luis Ventura, artistic director for STAGES Performing Arts Youth Academy, remembers his very first musical production when he was 7 years old: "Les Misérables." Ventura played Gavroche, a young boy who sacrifices himself during a battle scene. "That is such a precious role to me, I wanted to find someone who was perfect for the role," Ventura said. Not only did he find the right student, but he was able to find a whole cast of amazing talent, he said. Ventura is a special education teacher at Wilson High School who studied at the G. Martell School of Music in Mexico City. "I think there is not a lot of opportunity for teenagers to do shows that are more challenging," Ventura said. "In terms of vocally and acting, this show is both." "Les Misérables" is based on a French novel of the same name, and is a musical completely sung through. It premiered in Paris in 1980 and was adapted into English soon after. The London production is known to be one of the longest-running musicals in the world to date. The story opens with Jean Valjean, played by 18-year-old Isaac Chapelle, a French peasant in 19th-century France who was in prison for years. He is being tracked by a policeman named Javert, and the cast of characters with interwoven stories all exist in the uneasy era of the restored French monarchy. "I thought why not do this, because no community theater based on youth has done it," Ventura said. "We will be the first community theater in this area with youth to do it." "My approach when I am directing, I realized some of these kids don't relate to what happened in the 1800s, or the French Revolution," Ventura said. "I direct it like it is your goal on stage is not to identify with revolution, but think of all movements that are happening today — the feminist movement, the LGBTQ-pro movement. People fight for rights and it is important to expose them to that." Ventura asked his students to take time walking in Portland to see conditions people living in homelessness experience since the cast would have to play those roles, he said. "The reason why I am passionate about this show is because it has real themes, so they can approach their acting from a natural, real place rather than a comedy or fictional," he said. "With this show, I want them to dig deep, use personal experiences, be empathetic." The story of "Les Misérables" touches on characters working in tough factory conditions, being without homes and even working as prostitutes. "I think there is a lot of political themes in this show about struggling in society and socioeconomic classes. By exposing the kids to those themes, it creates awareness not only to them, but to the audience," Ventura said. "We talked a lot about the theme of equality and inequality and why it is important in our days." Because of the darker themes of "Les Misérables," Ventura held a meeting with parents to tell them it would all be approached in an educational, historical standpoint. "(The cast) have all been mature and respectful of this," Ventura said. "When we rehearsed scenes with the prostitutes, I worried it would be rowdy, but they have been very mature about it. I really hope parents see how great our program is because of those specific moments. We are exposing them to that, but taking care of them. " Ventura's goal as artistic director is to find shows to appeal to several age groups and find material that challenges the actors, he said. Ventura hopes to see an audience who wants to learn about the story because they may not be able to in other ways, he said. "One of the reasons it is important that people come see the show is accessibility," Ventura said. "It is quality theater, and this may be the best show we have done at STAGES. We are pushing the limits." Ventura began auditions in May to find children and teens to commit to a production before schools announced their own shows, he said. The role of Jean Valjean was the most important shoes to fill because of the highly demanding vocal part, Ventura said. Before being asked to be in the show, Chapelle used Valjean's soliloquy in another theater competition, and the recording of his performance made it in the hands of Ventura, who wanted to cast him immediately after. Chapelle, a freshman at Mt. Hood Community College in Gresham, said it was surreal to be sought out. "It has been very difficult as an 18-year-old, a freshman in college, to portray a man going from 30 to 60 and having 19 years in prison," Chapelle admitted. "That alone is ridiculously hard to think about for me, it is more than I have lived already." Chapelle is not worried about a cast of younger people taking on a show like "Les Misérables," traditionally performed by actors with longer resumes, he said. "We have a massive amount of talent in this group," Chapelle said. "I've never been with a group that has this much drive and talent to do well. We have freshmen through seniors, all working equally as hard, no matter if they have a role or are in the ensemble. Everyone is equally working to do good." What makes this production different from the countless amount before it? The drive everyone has and the support that goes with it, Chapelle said. 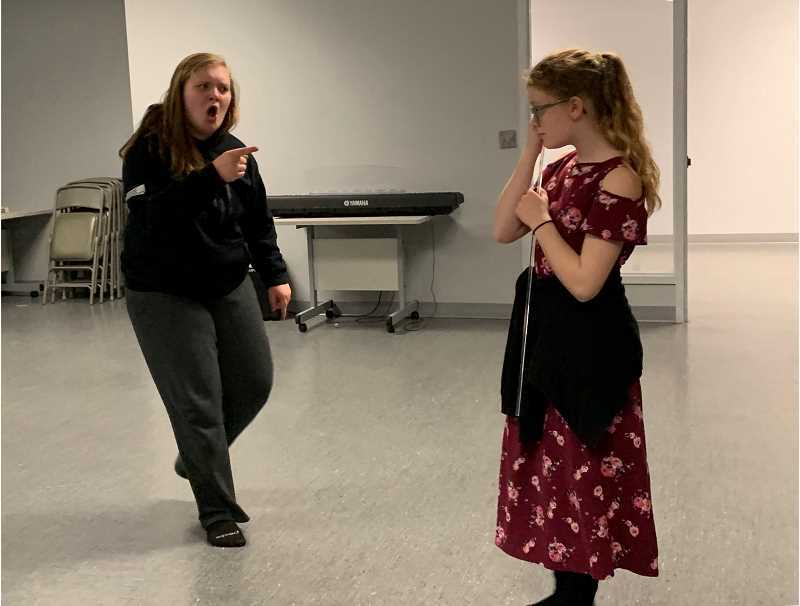 His castmate, Noelle Parent, a 15-year-old student at Century High School, was cast as Madame Thénardier because of her gravitation to comedic roles, Parent said. "I felt like I did a good job (at auditions)," Parent said. "I decided to show 'Poor Unfortunate Souls' from 'The Little Mermaid' — probably why I got a villain role." Madame Thénardier is seen as one of the comedic relief characters in "Les Misérables," as she sings numbers like "The Master of the House," a song discussing schemes and trickery. "I love the songs she sings. They are just so evil," Parent said. "With such an intense play, just to bring some humor to it helps to lighten a bit. I love to make people laugh, and to see people smile." Like Chapelle, Parent sees herself pursuing musical theater after she graduates high school. 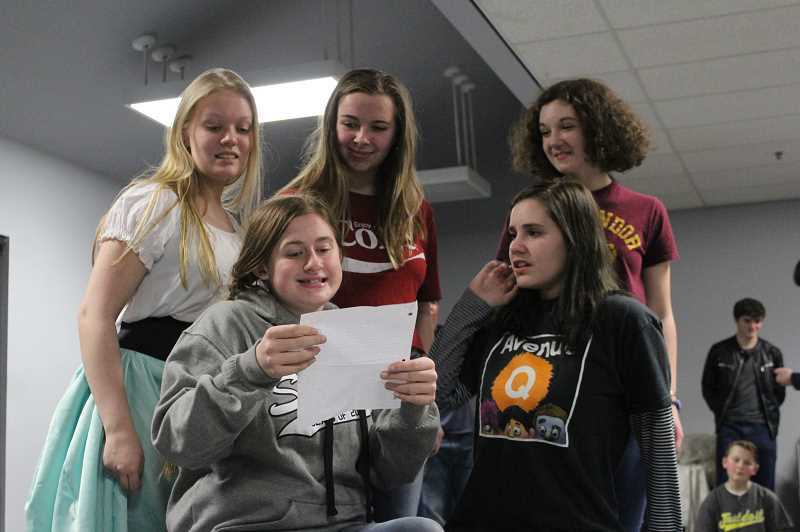 Many of the students in STAGES wish to be a part of musical theater in higher education, a fact that Ventura said he is not surprised by at all. 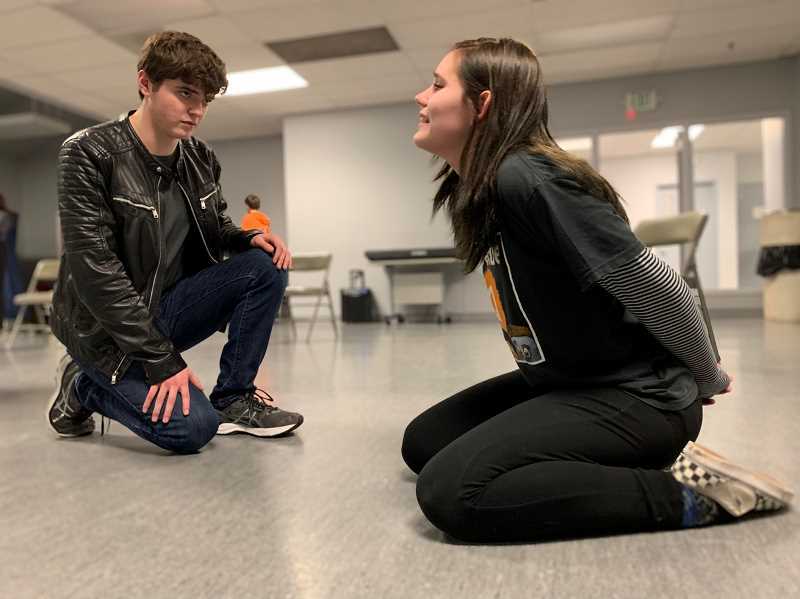 "We are not only a theater company, but we try to teach them in the process of directing them," Ventura said. The proceeds of the performances will benefit future STAGES performances. "Les Misérables" will be at HART Theater, at 185 S.E. Washington St., in Hillsboro. The show will be on Fridays and Saturdays from Jan. 4 through Jan. 19 at 7 p.m., and on Sundays from Jan. 6 through Jan. 20 at 2 p.m.